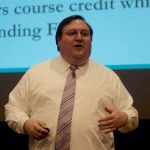 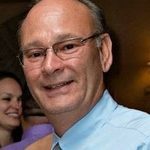 Added by Bill Bowman on May 10, 2018. 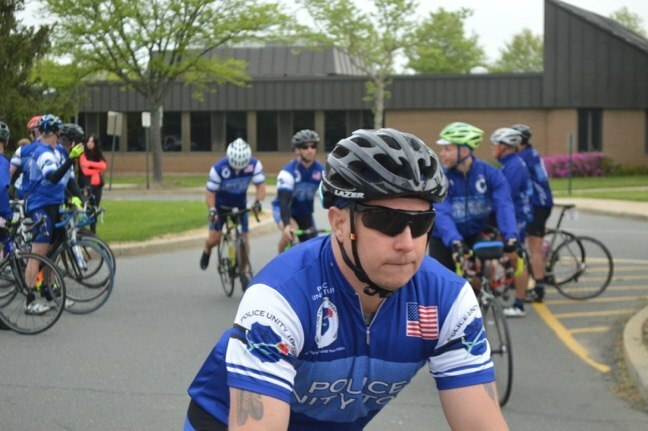 FTPD Sgt. 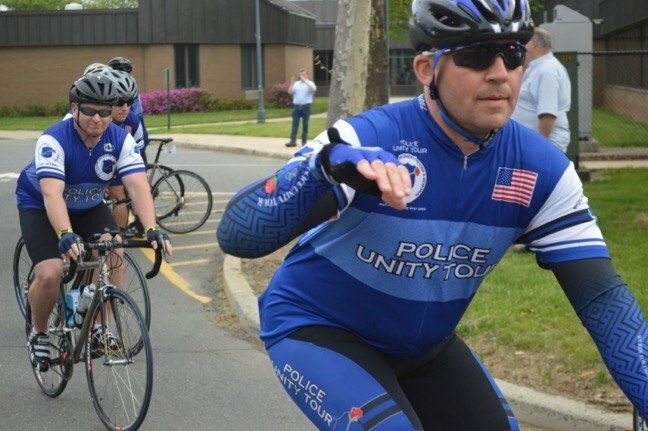 Mark Reiner takes off with Team Franklin in the 2018 Police Unity TOur. 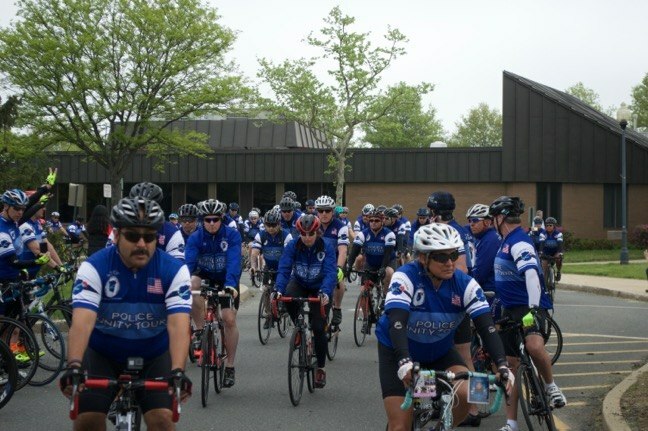 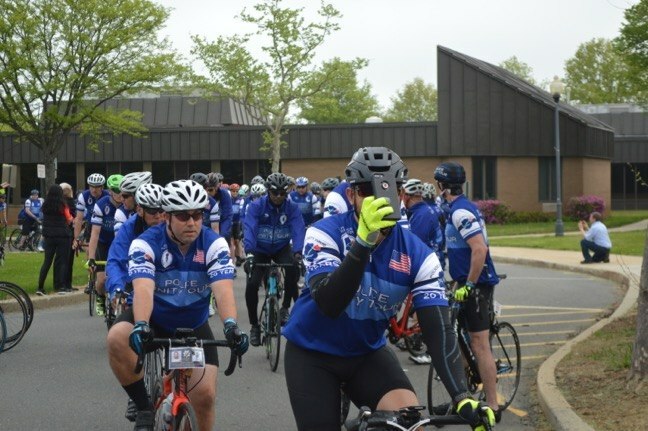 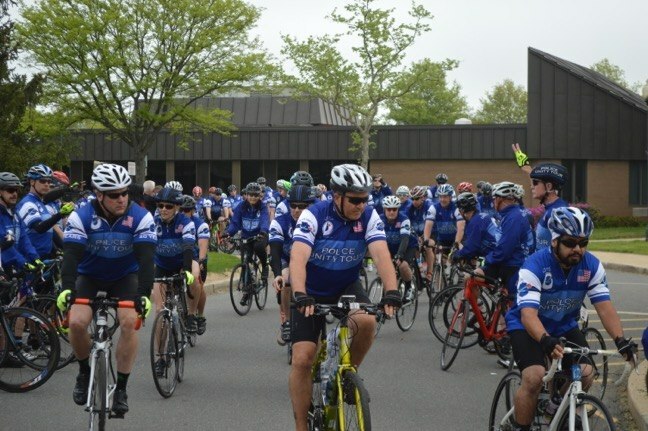 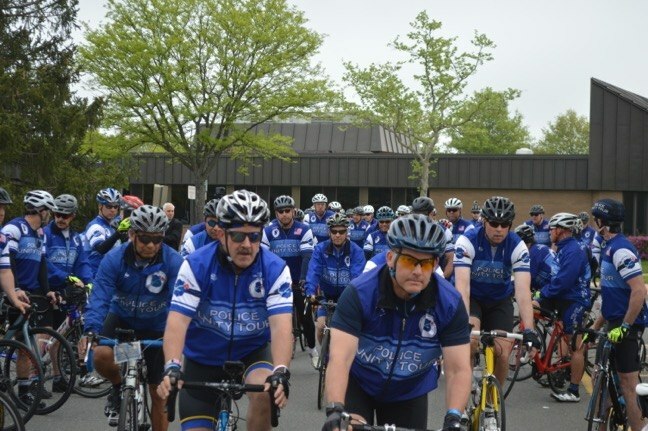 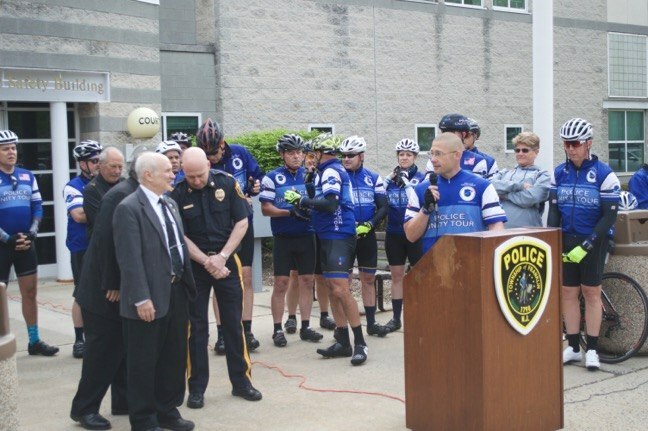 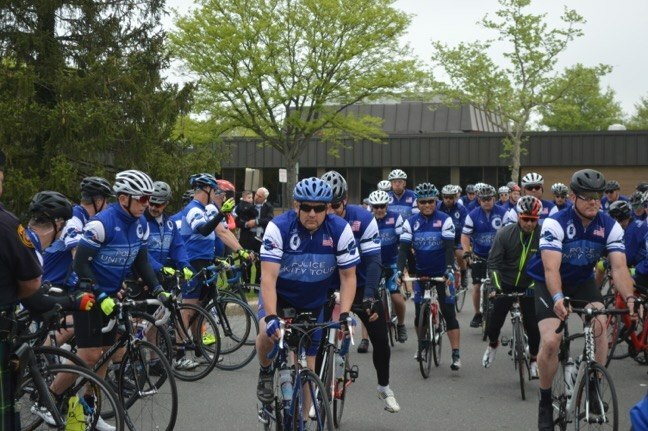 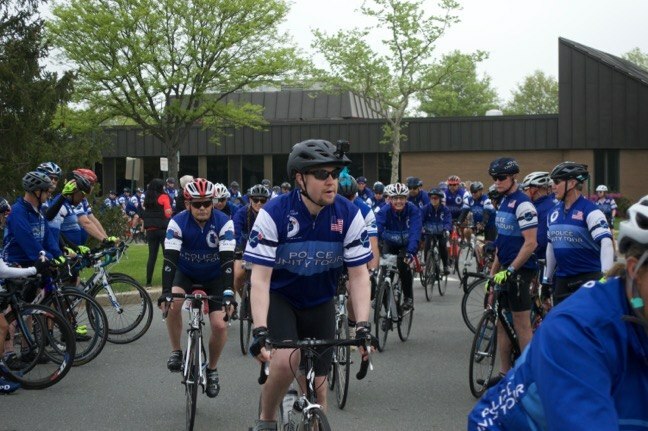 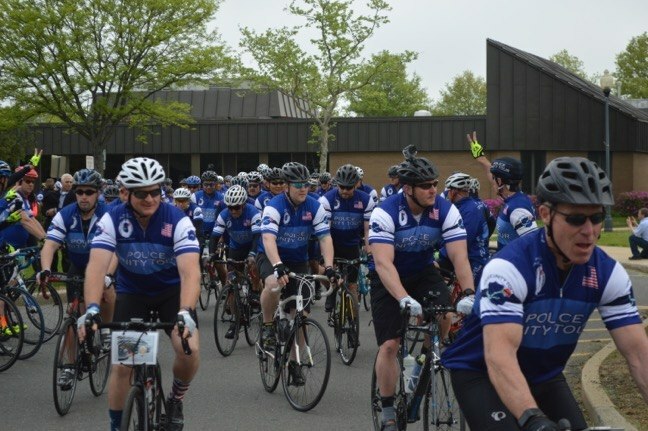 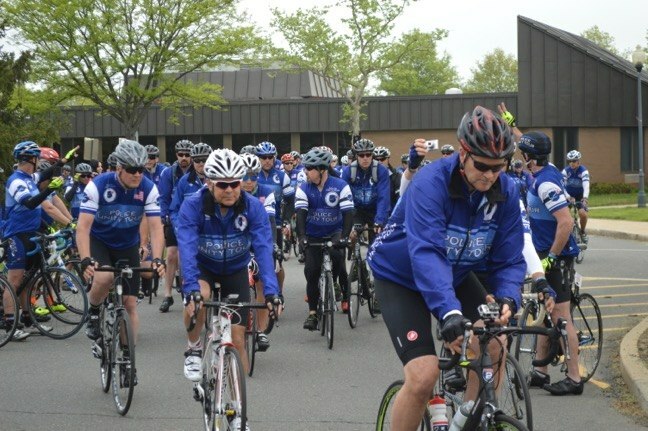 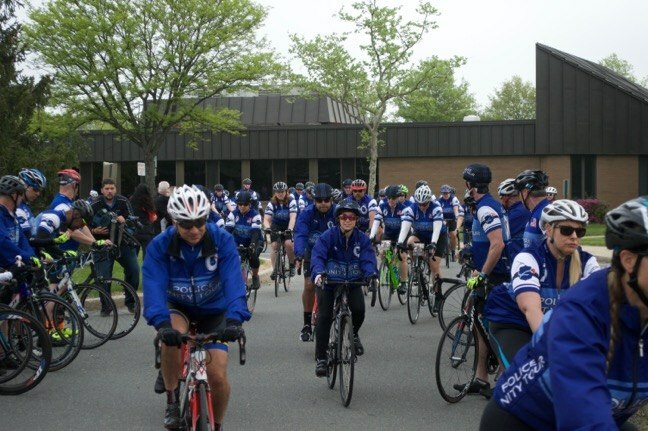 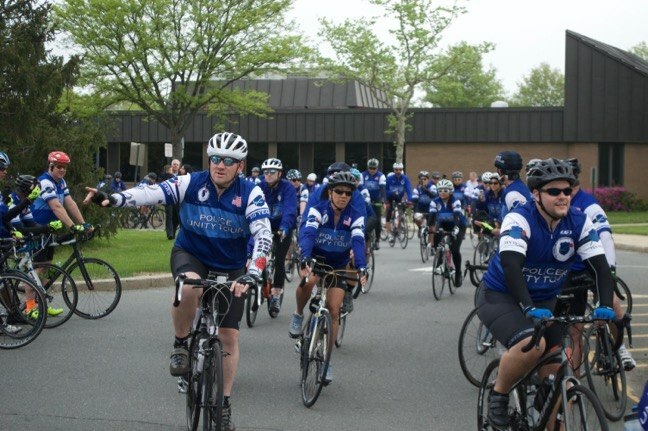 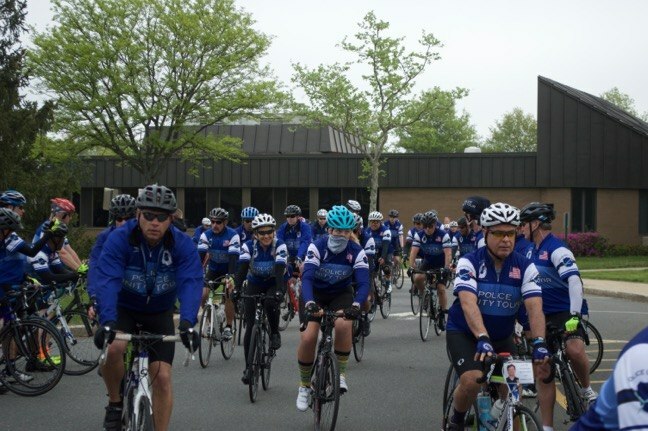 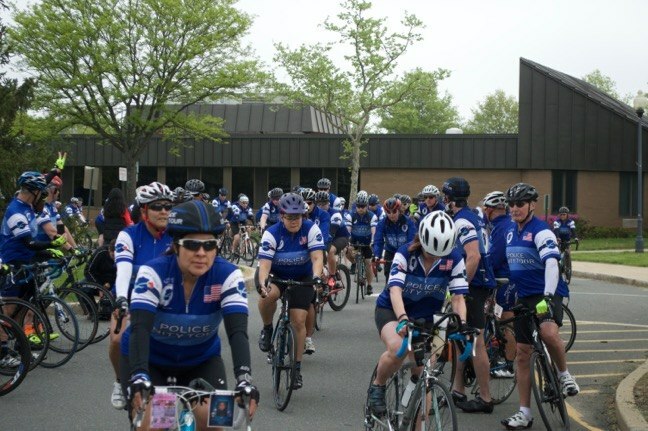 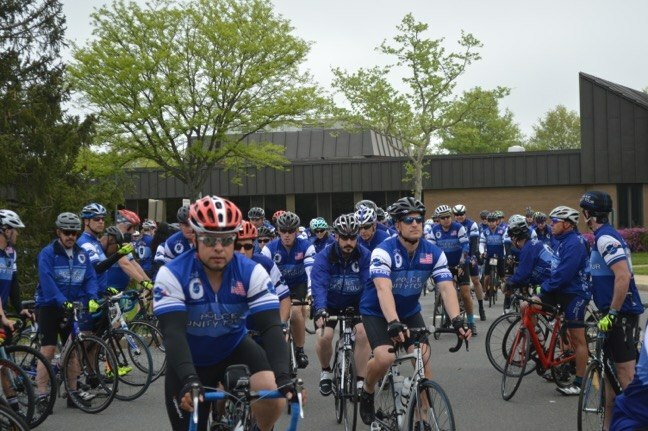 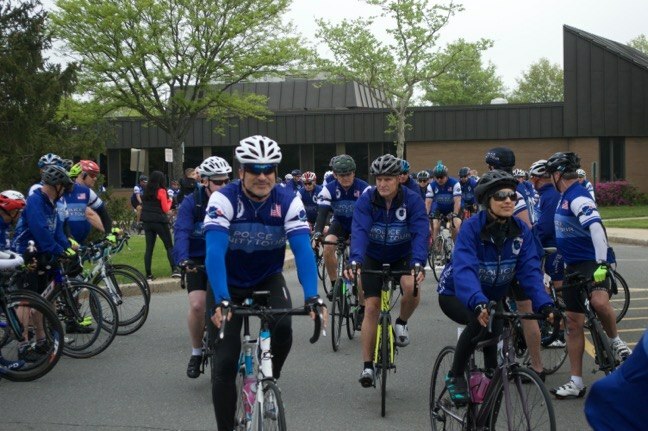 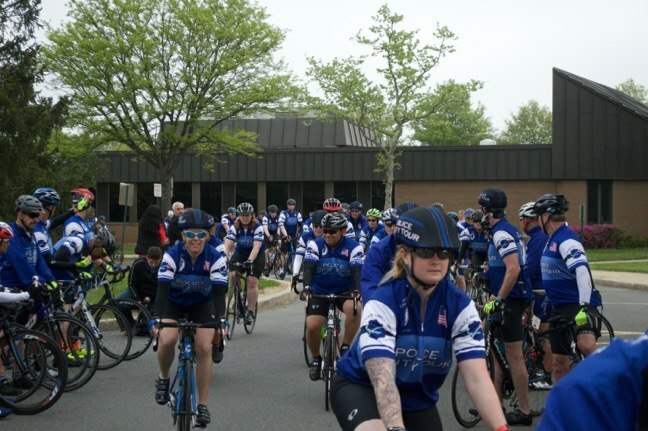 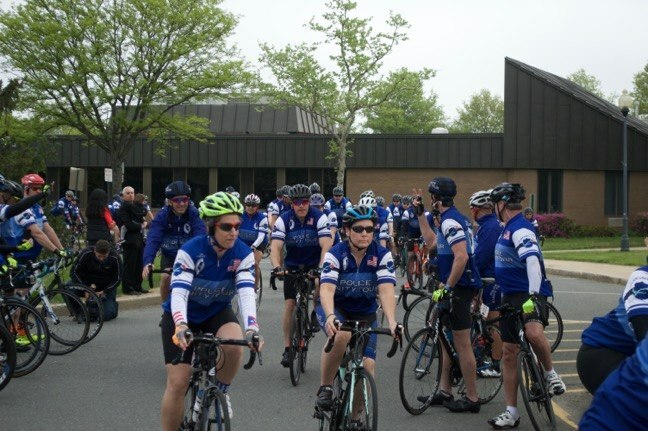 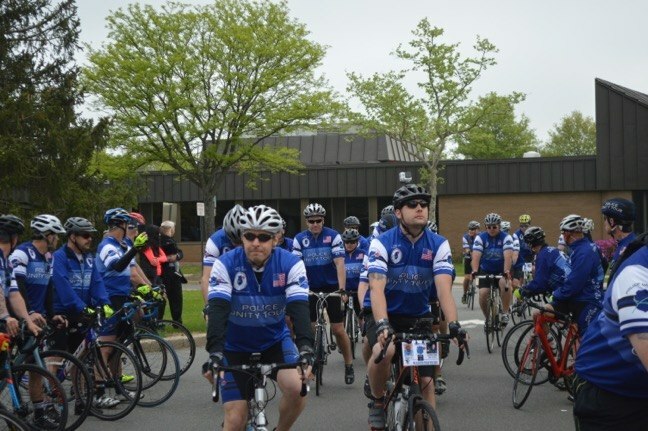 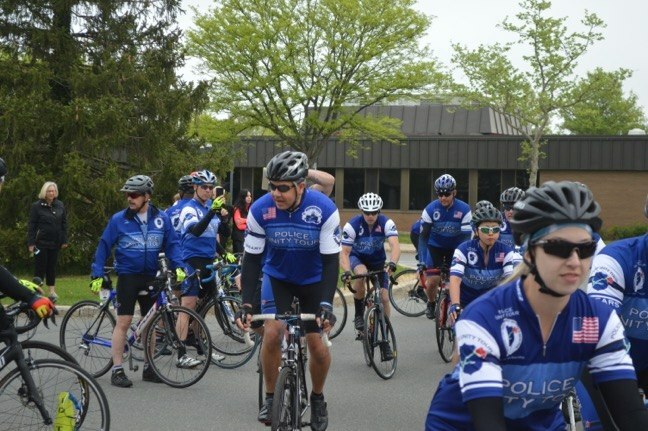 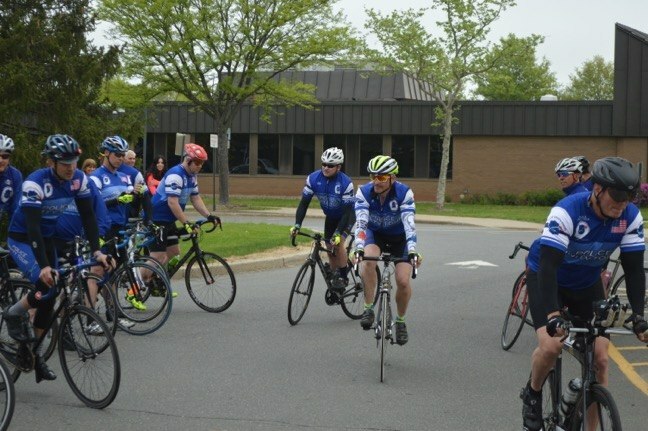 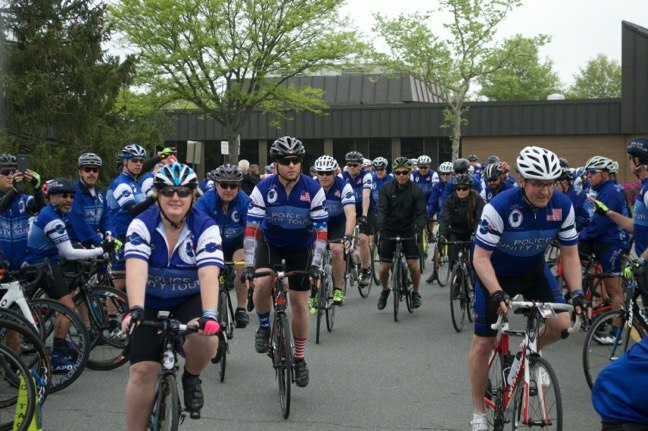 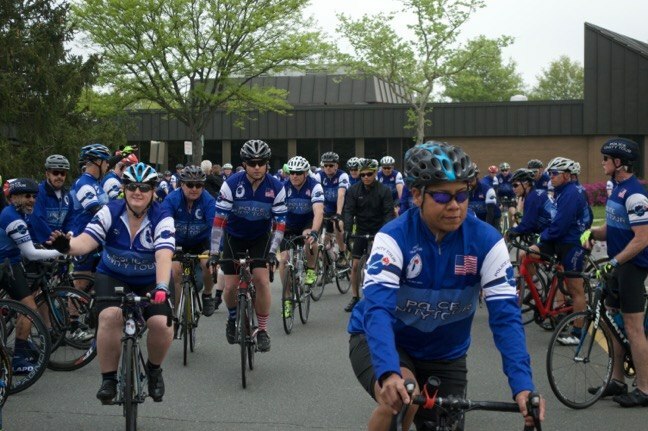 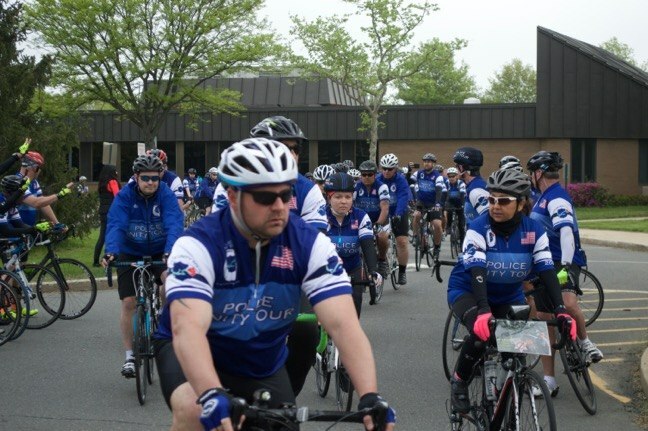 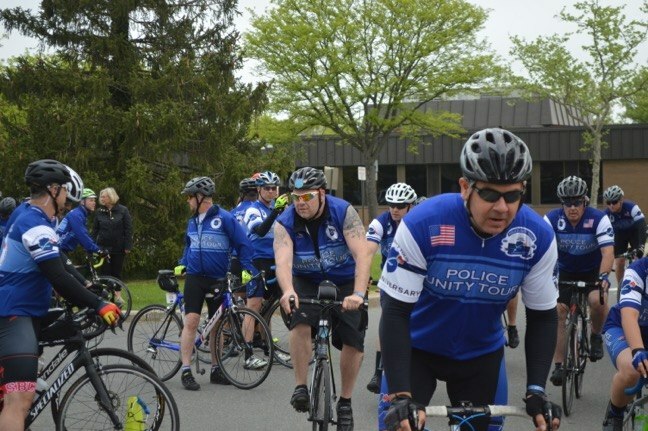 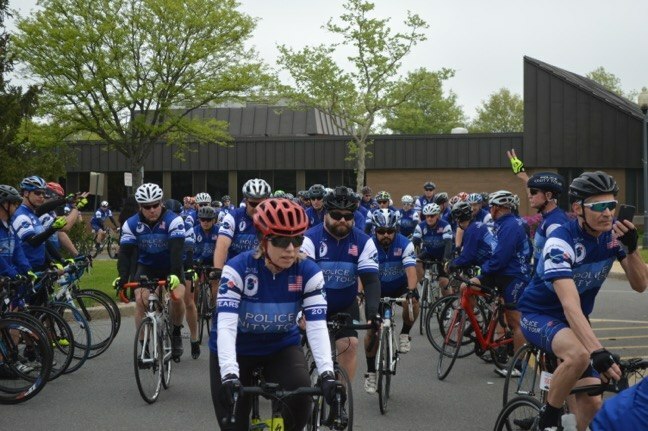 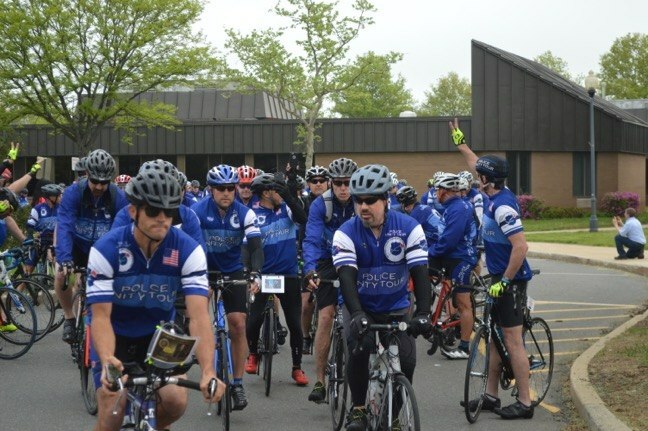 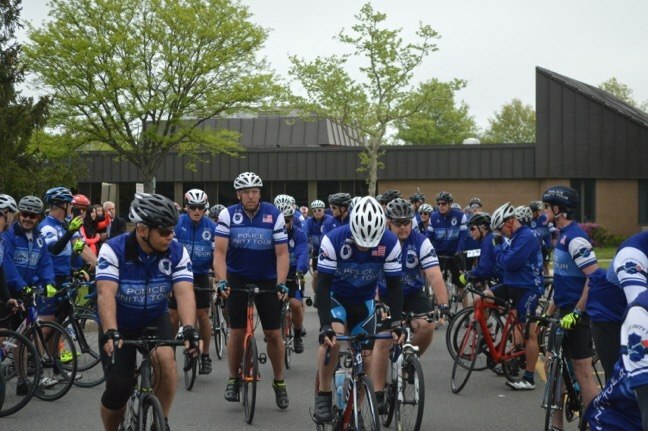 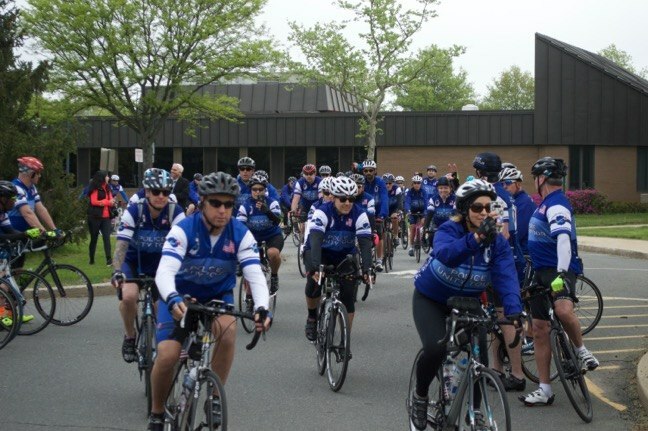 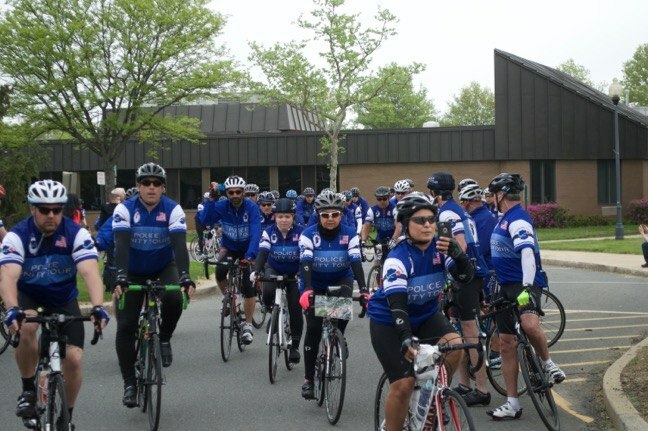 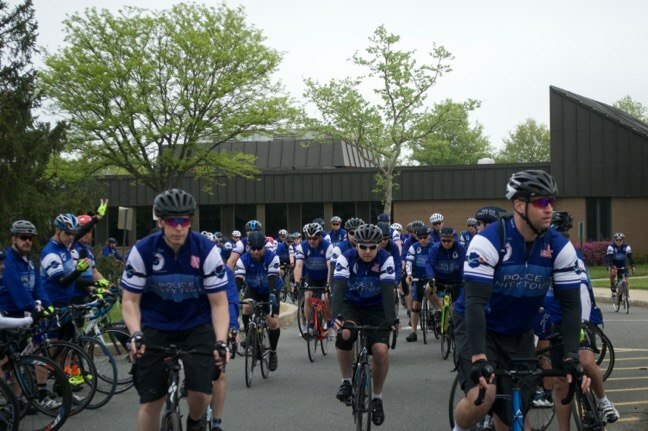 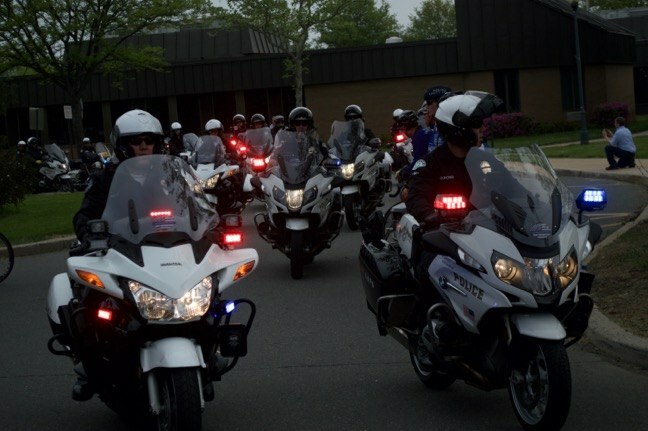 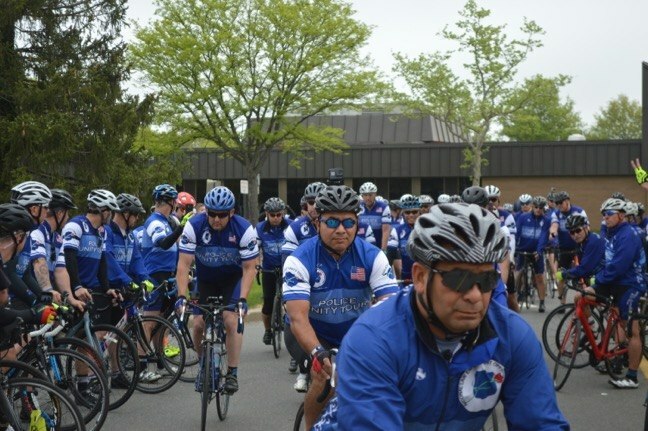 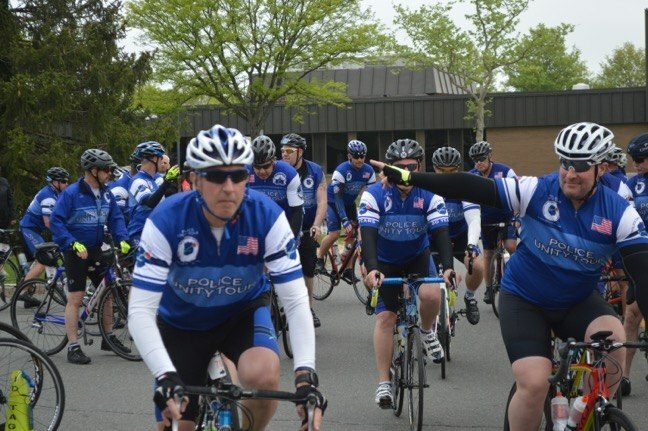 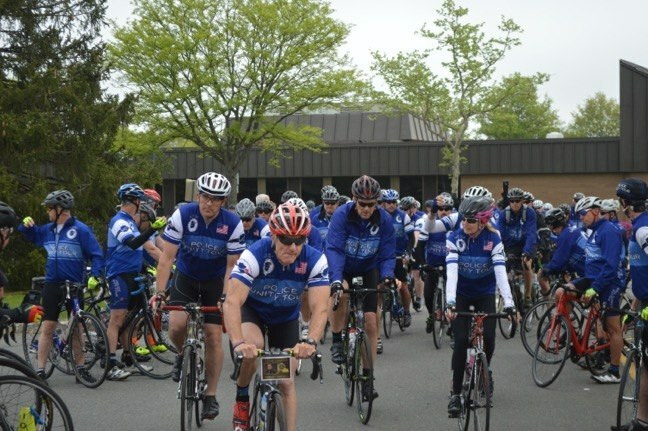 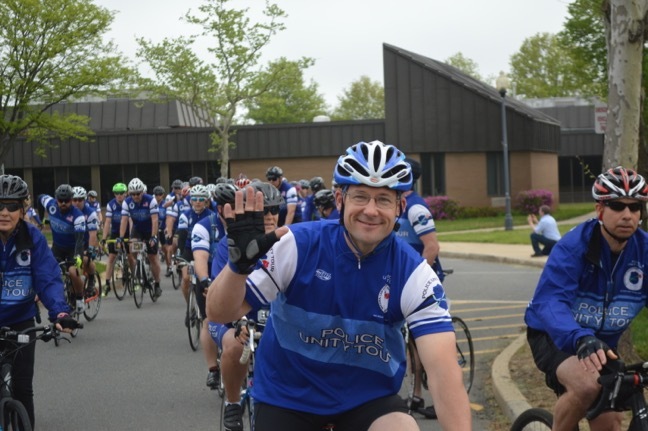 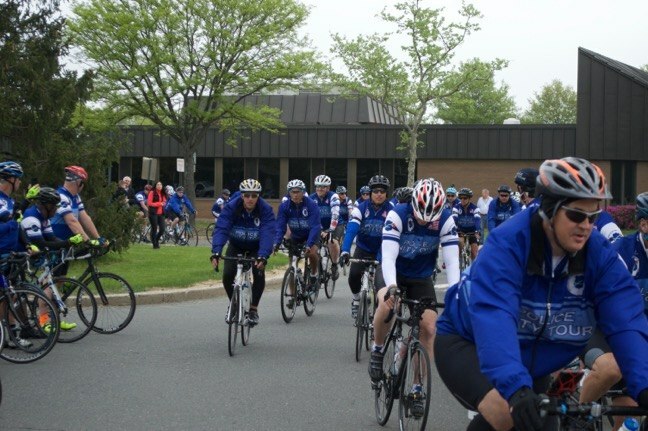 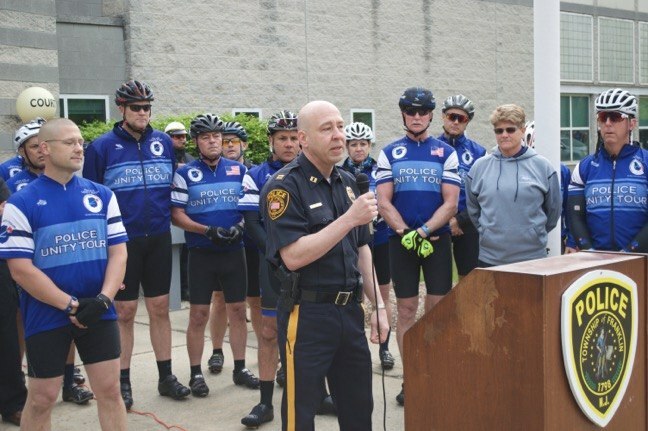 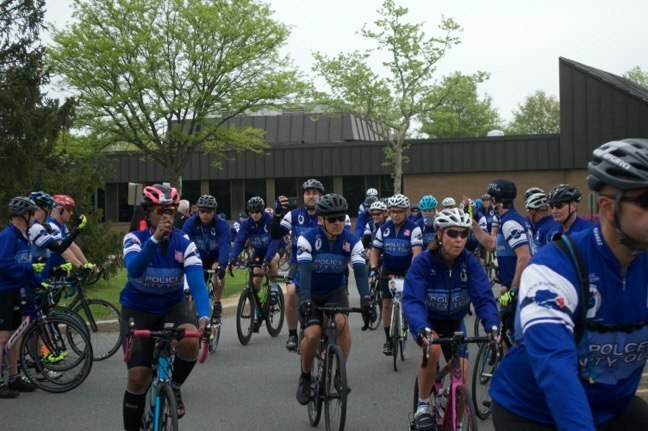 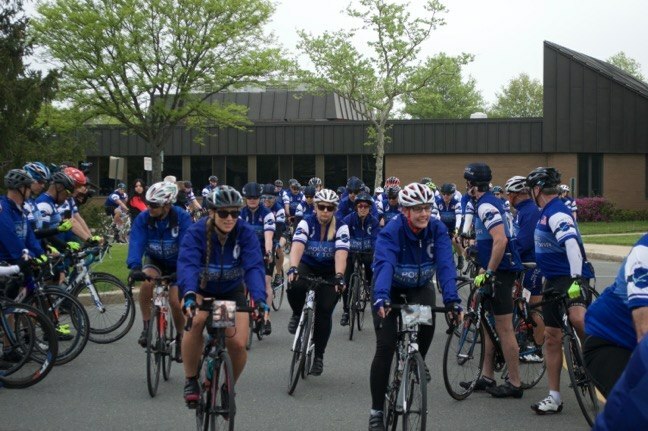 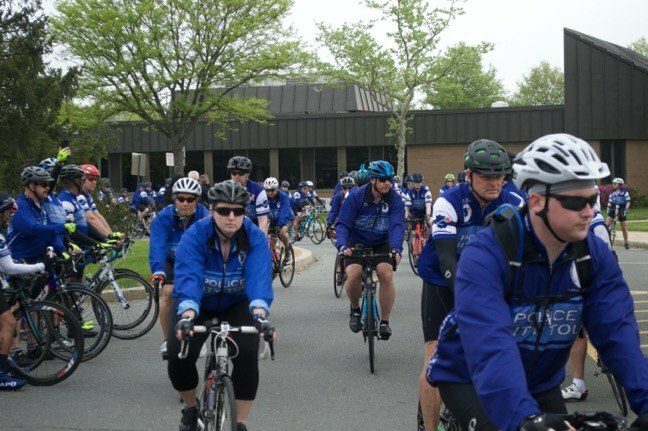 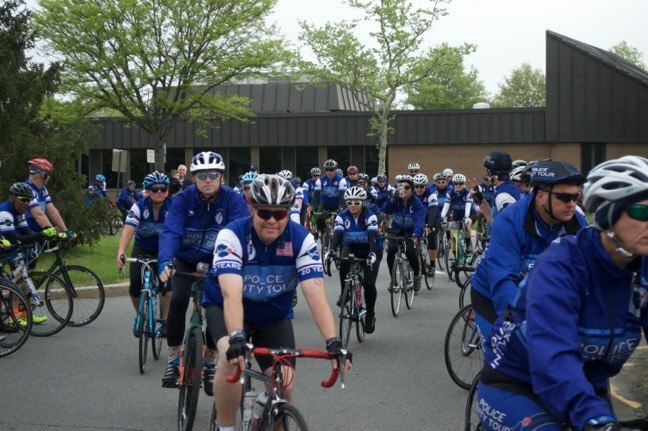 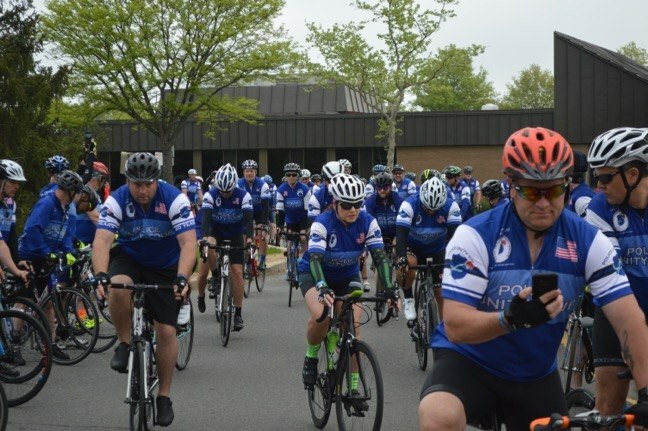 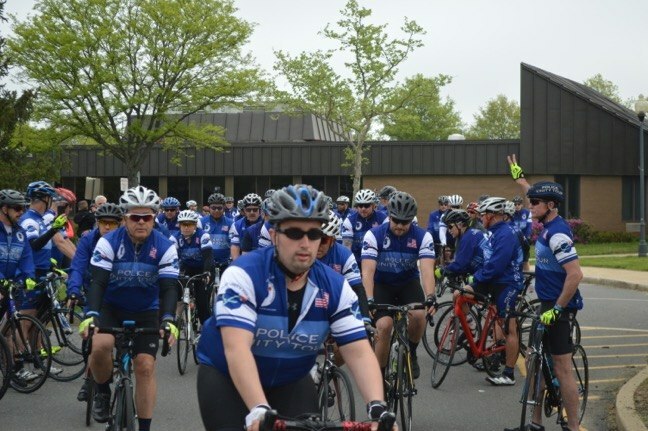 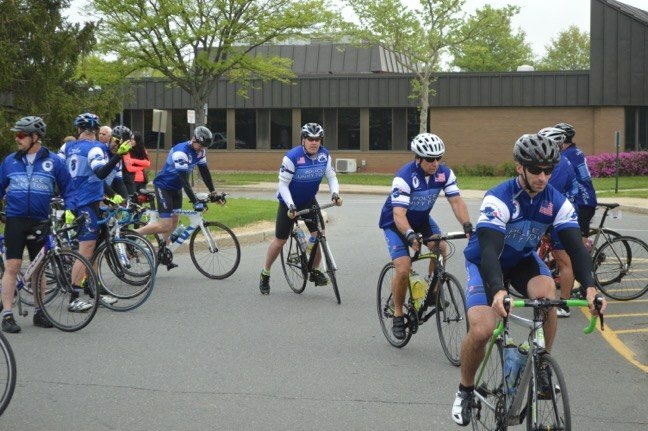 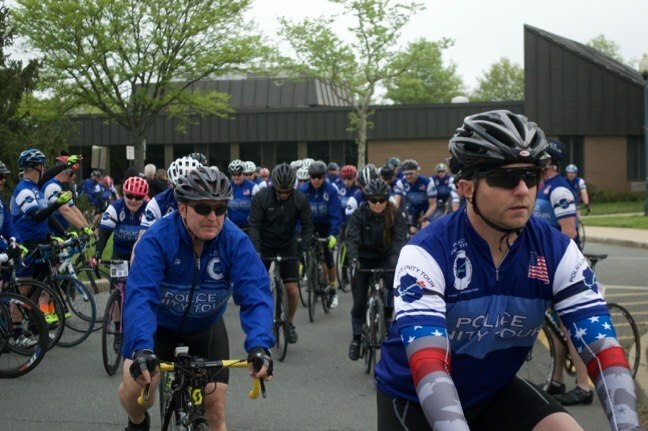 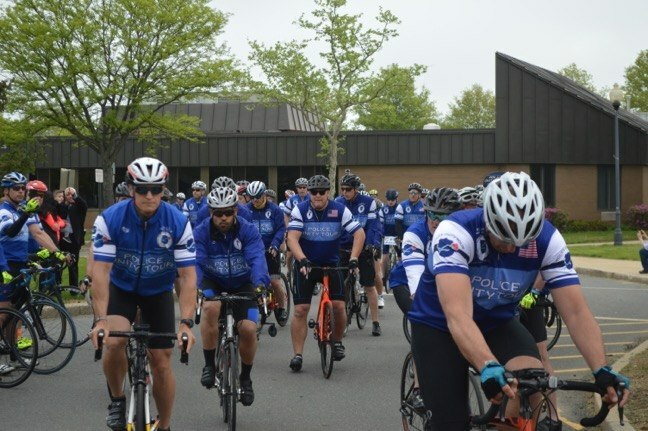 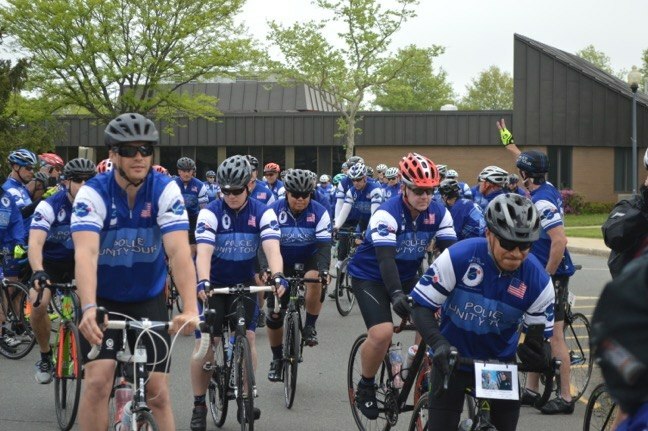 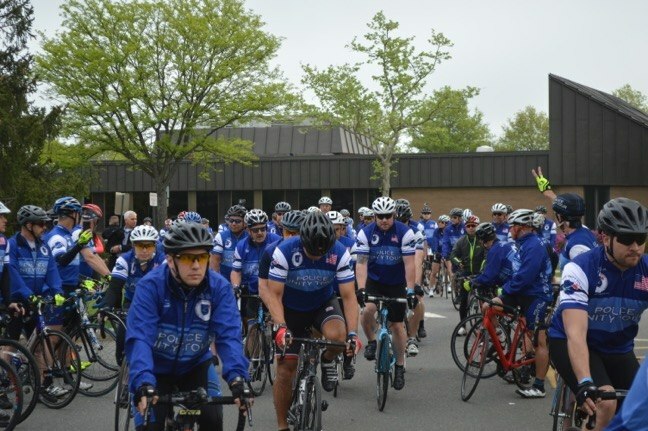 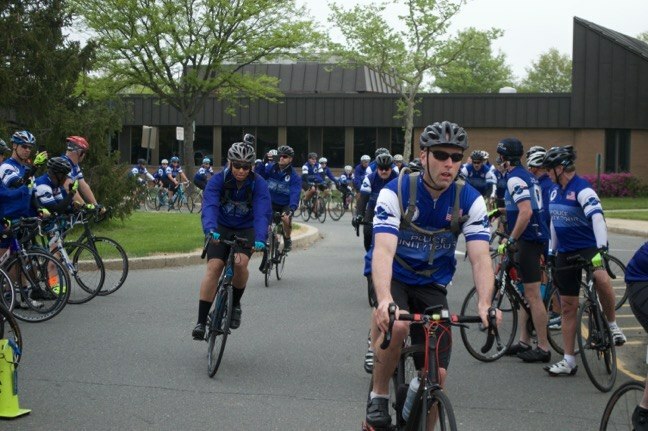 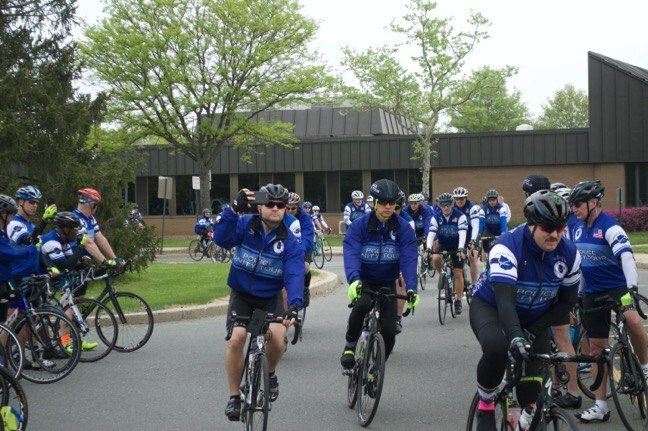 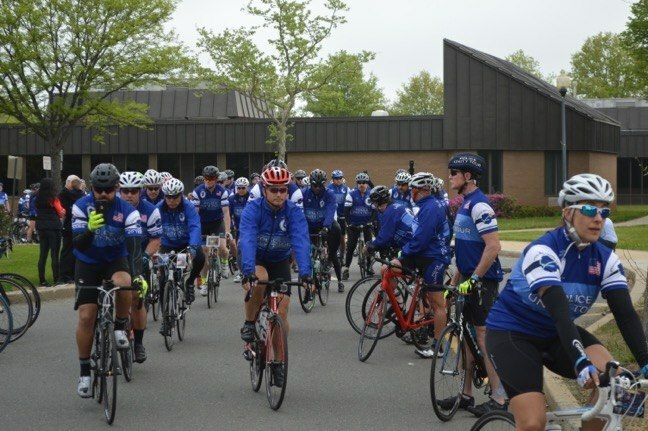 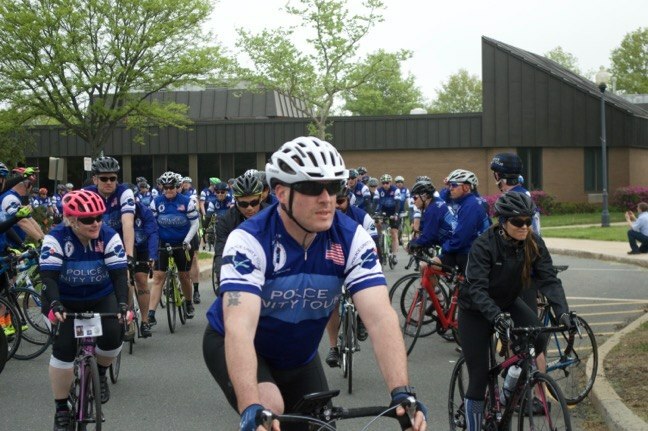 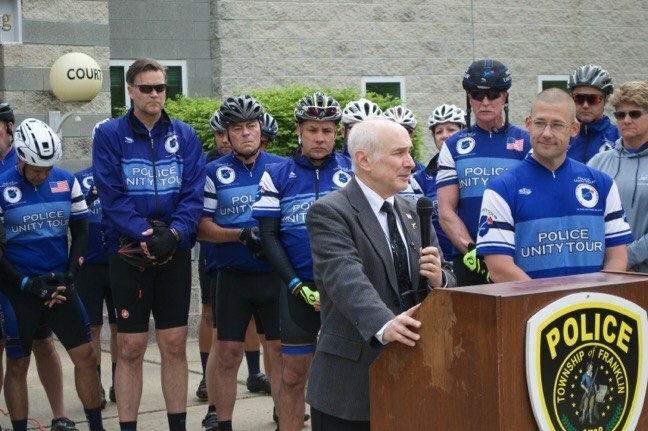 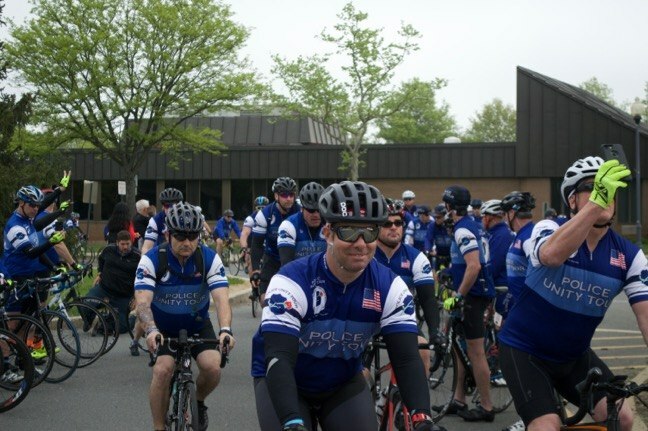 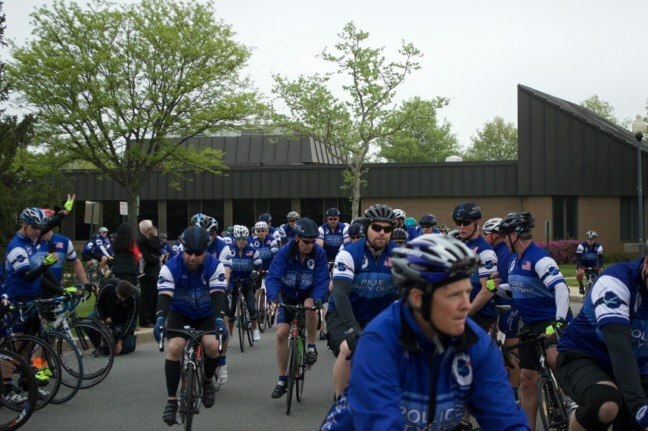 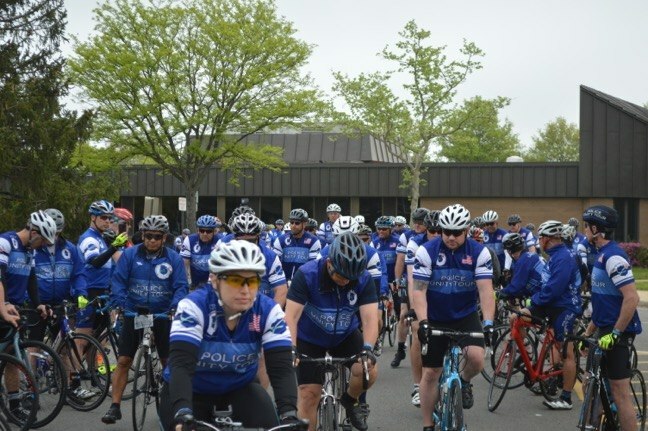 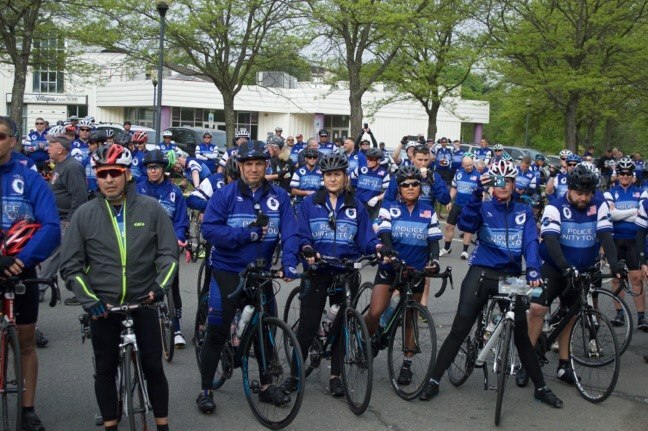 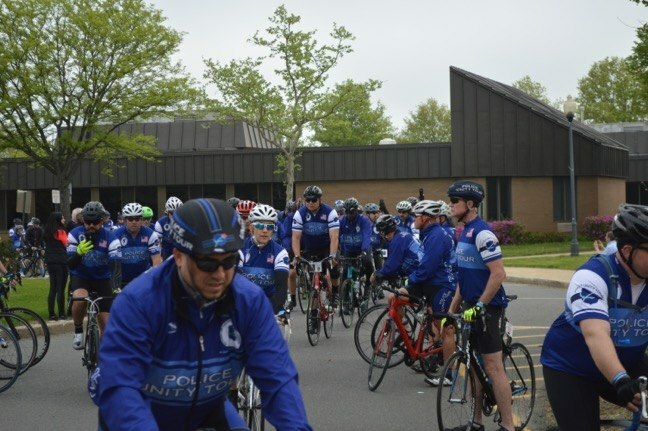 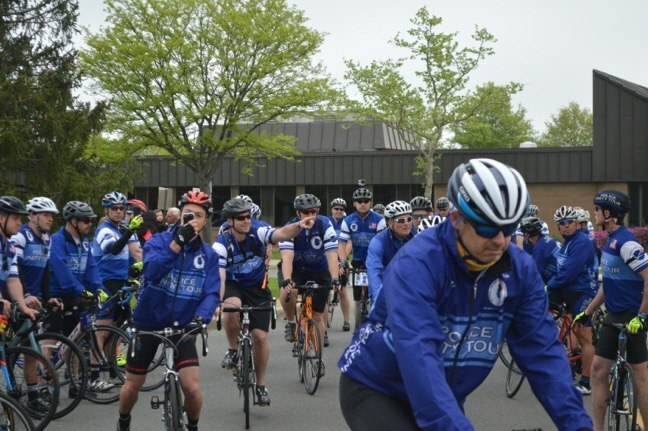 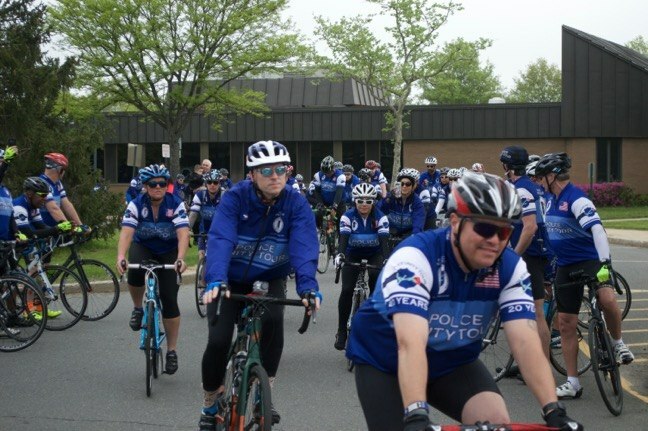 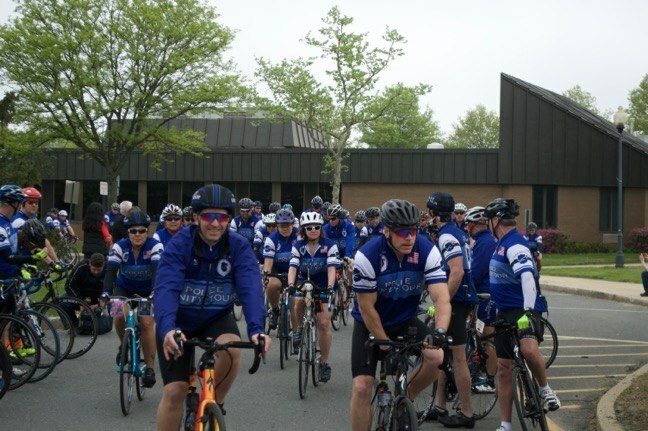 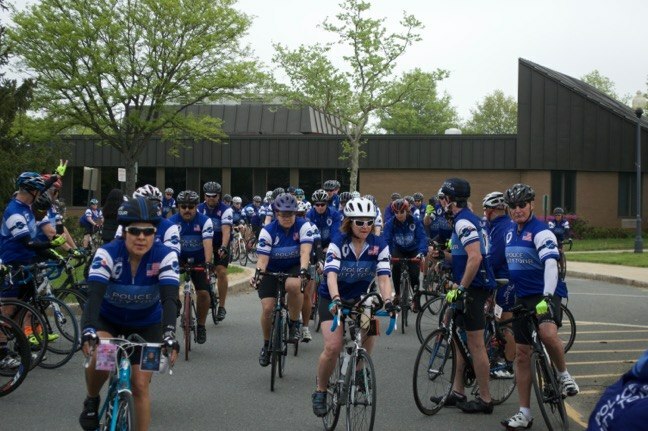 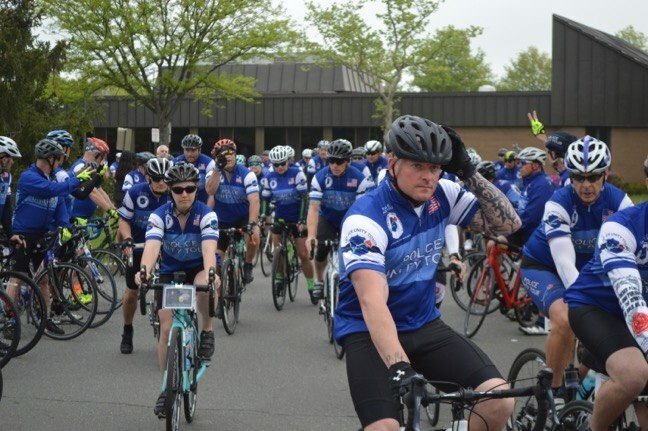 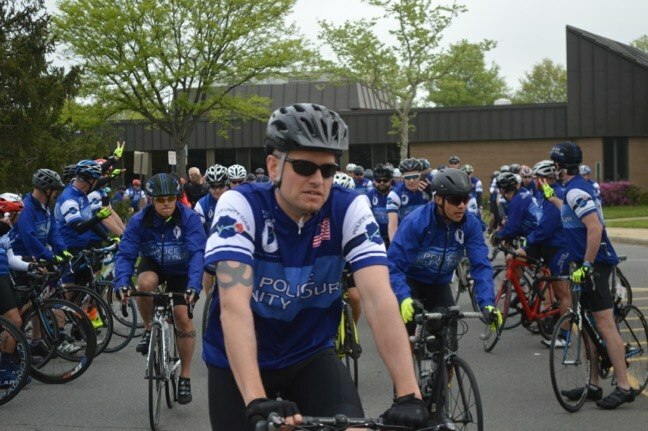 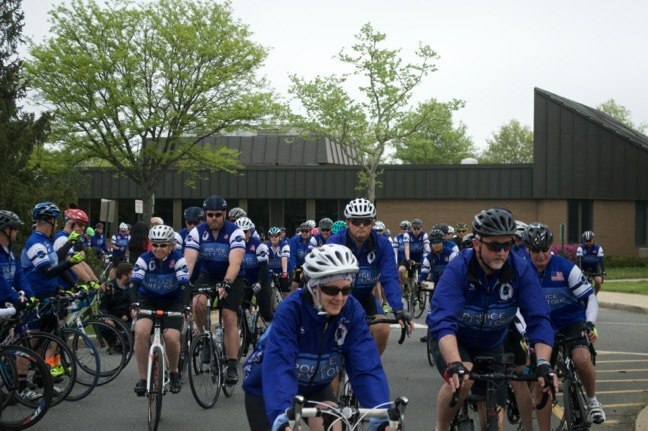 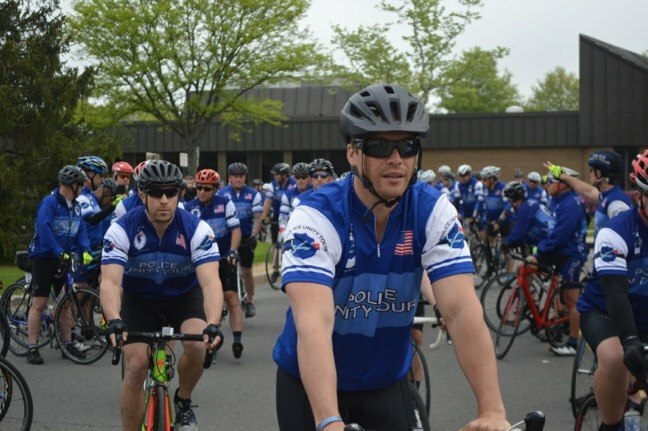 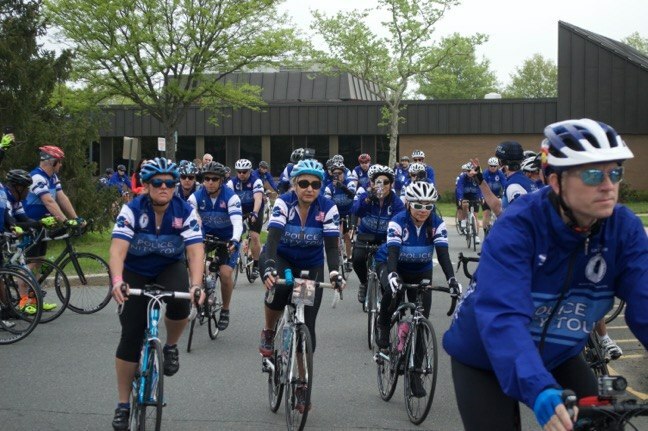 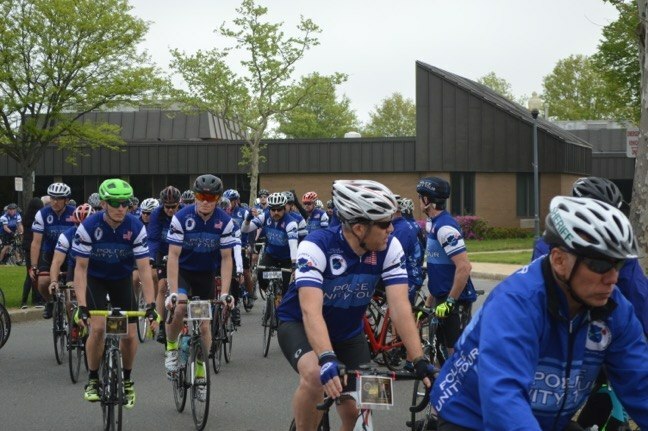 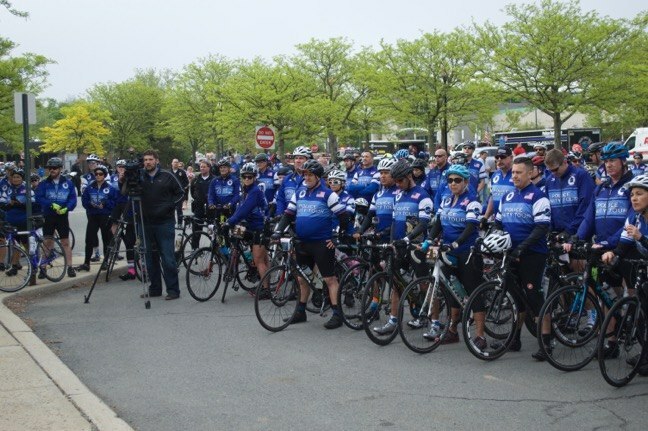 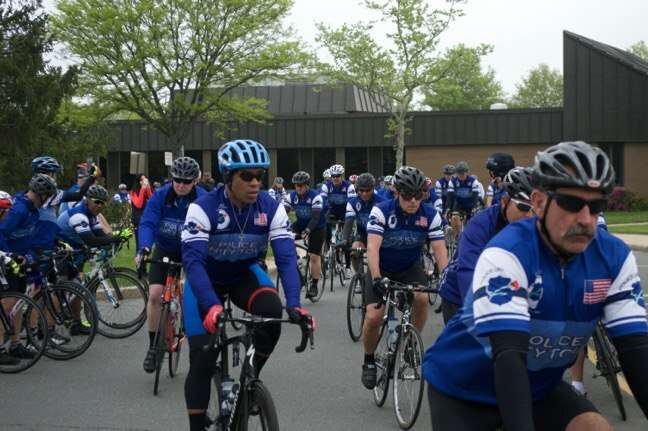 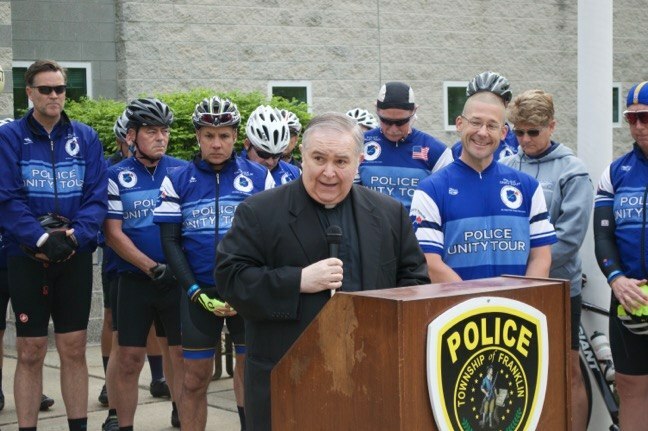 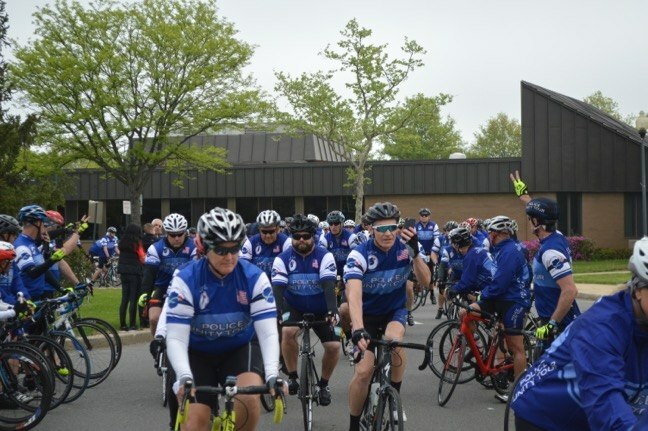 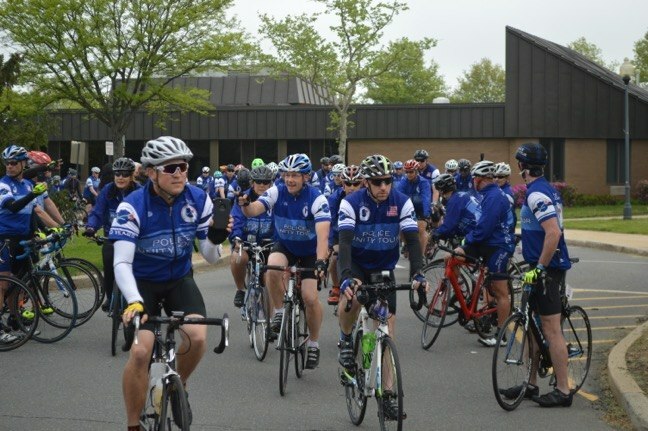 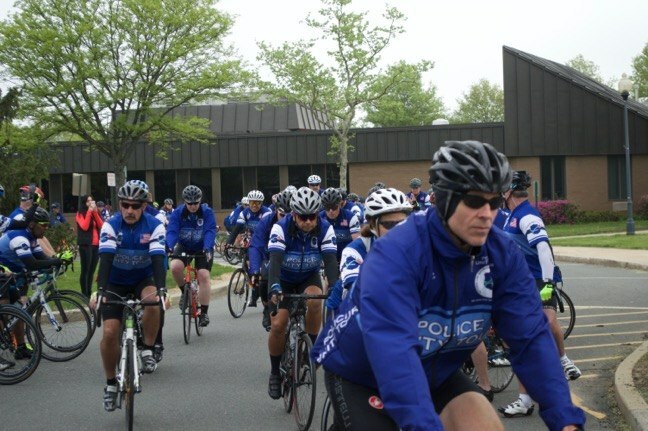 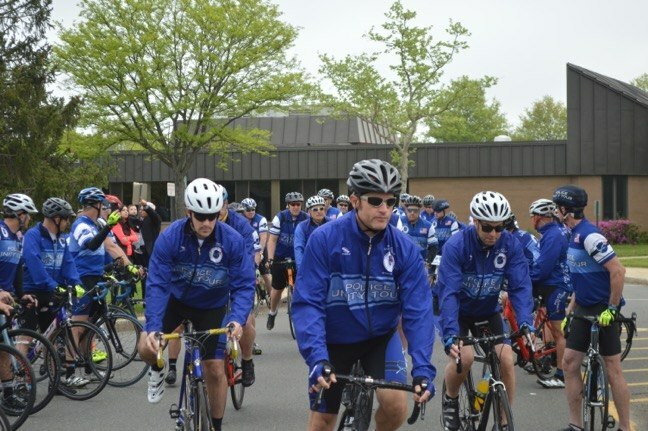 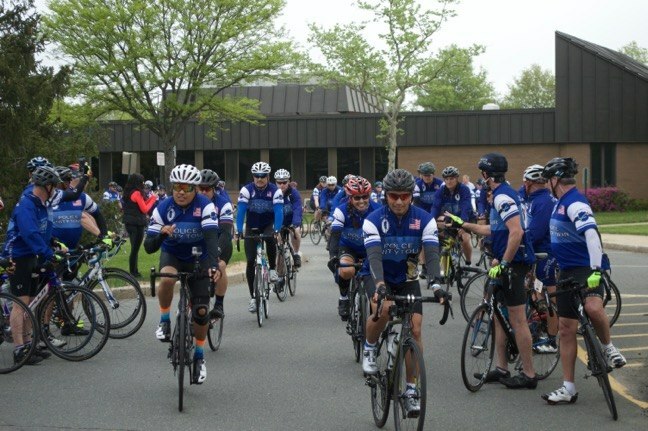 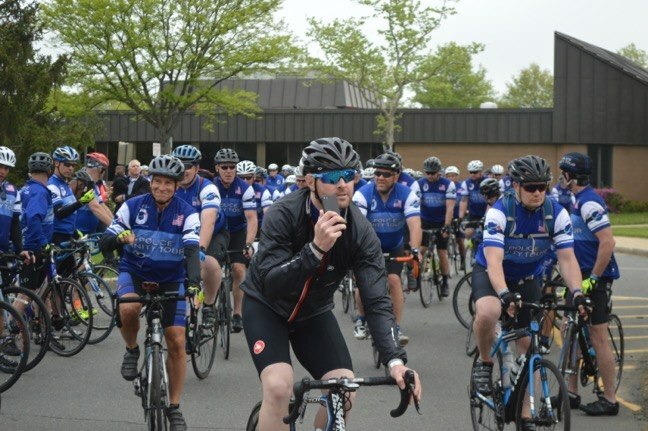 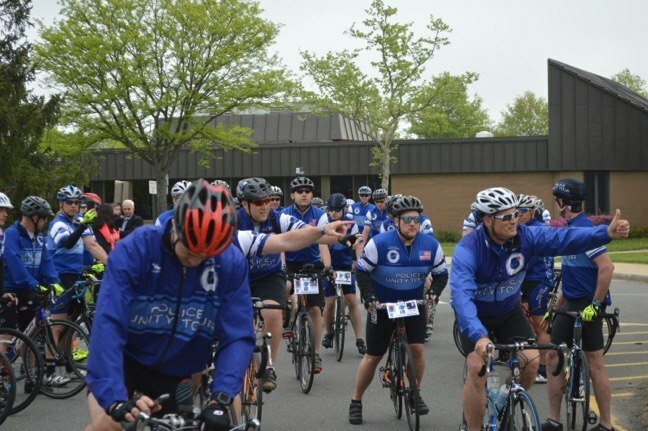 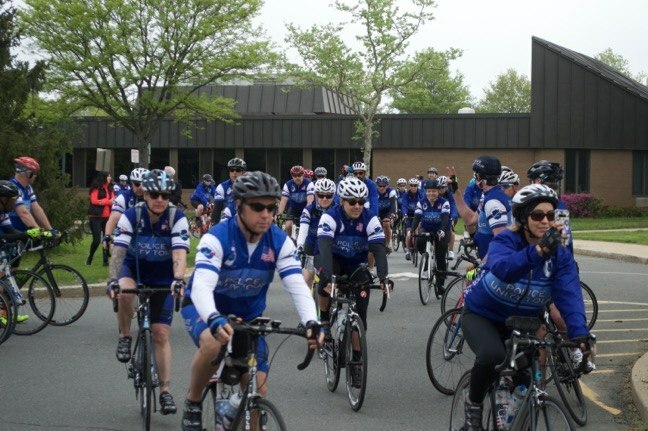 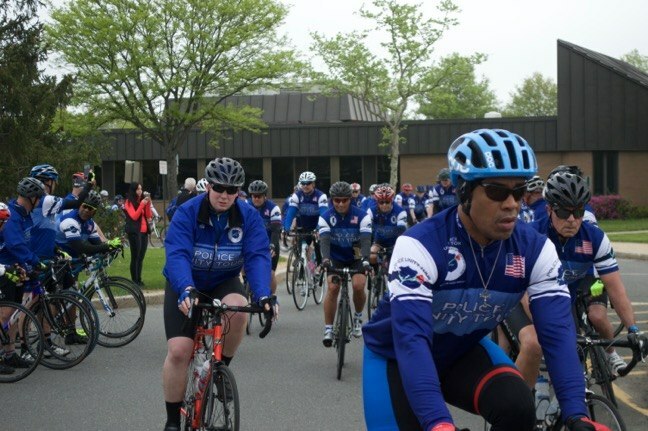 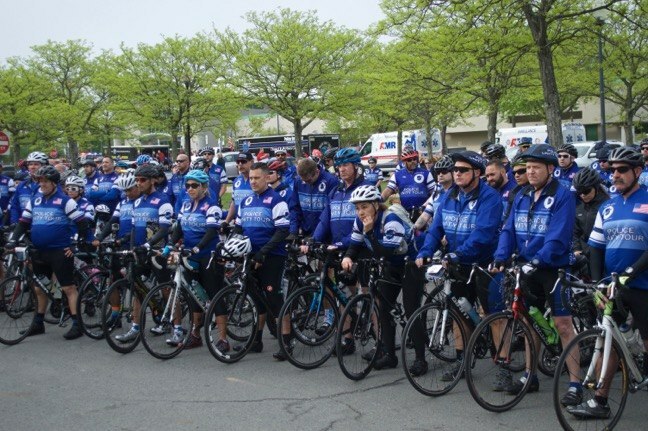 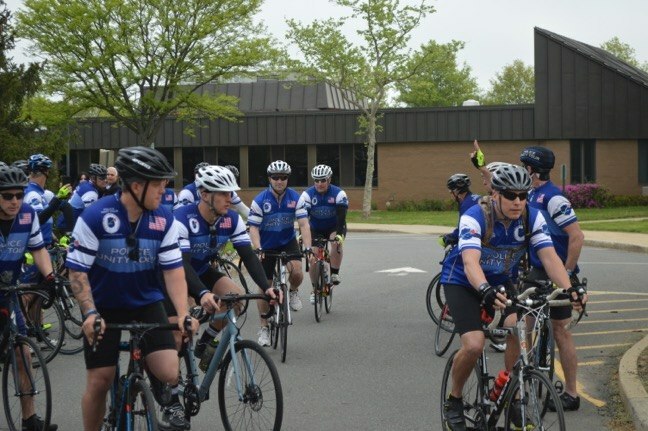 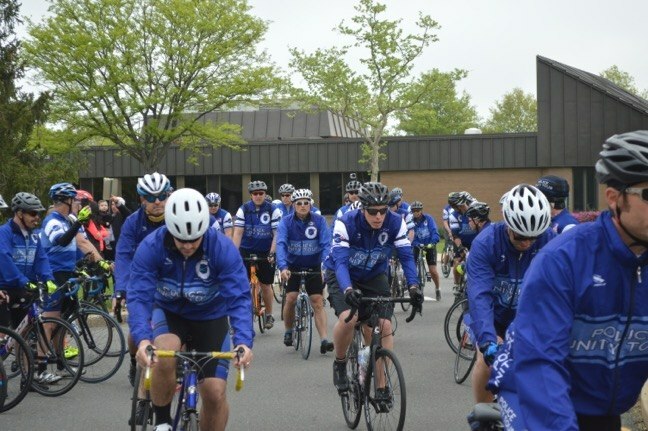 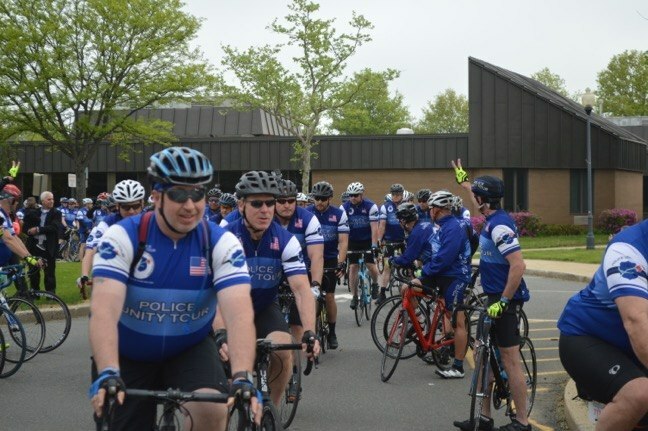 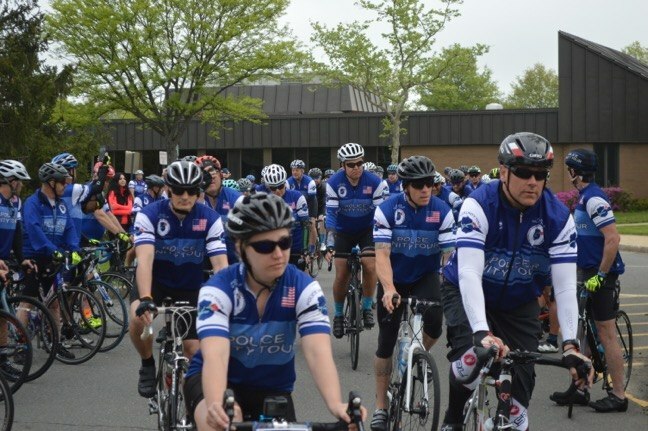 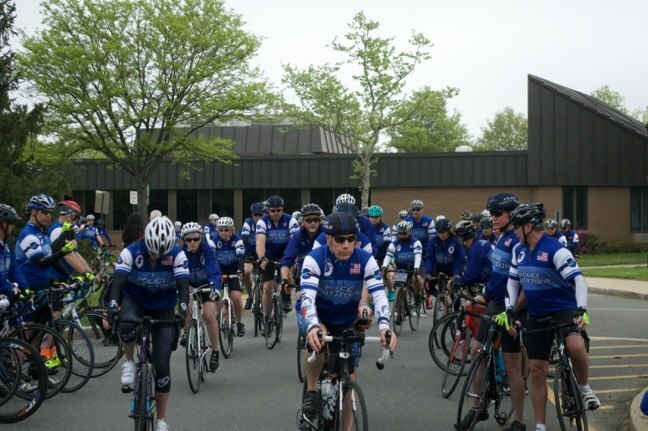 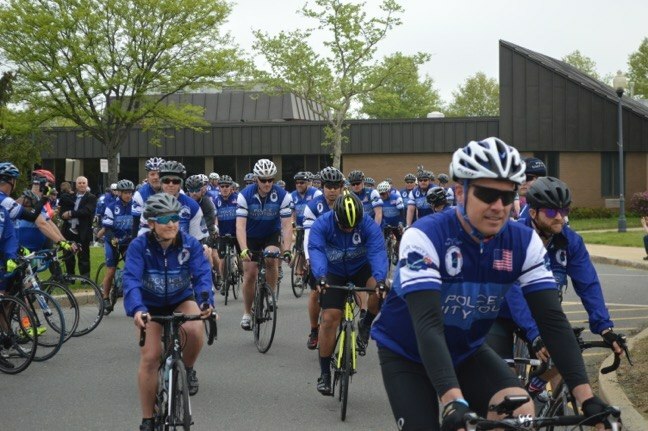 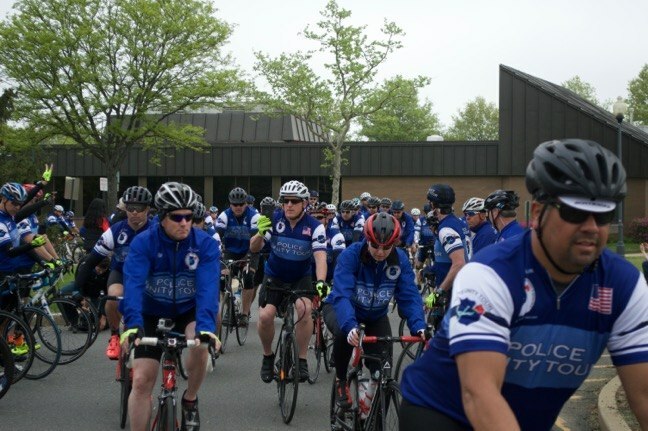 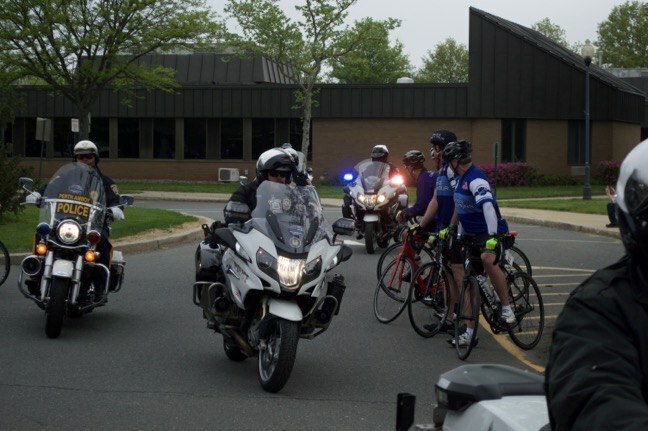 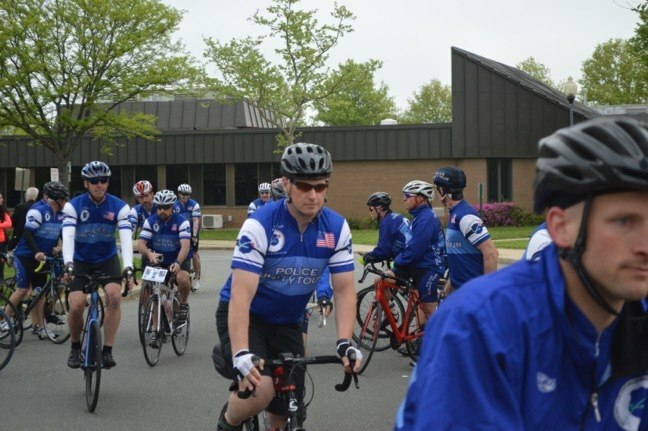 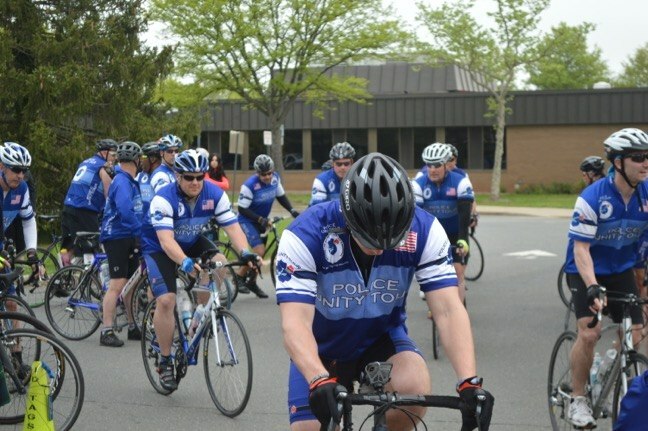 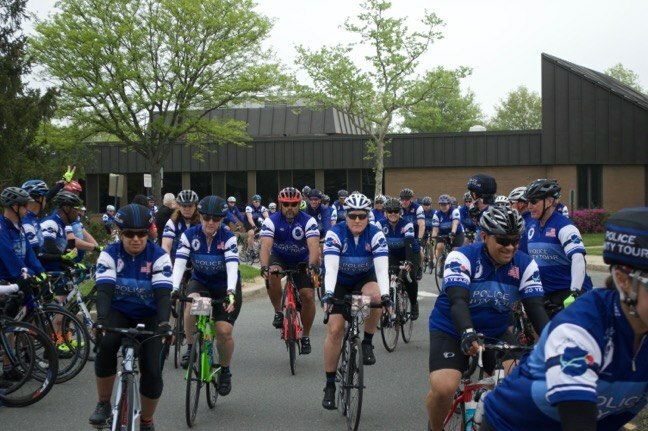 The front of township police headquarters was once again the starting point for several hundred law enforcement officers who set off on the 2018 Police Unity Tour early in the morning of May 10. 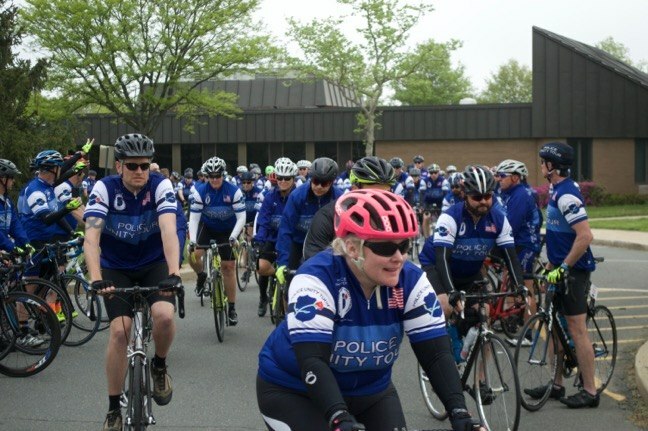 The tour is a bike ride from various starting points across the country with the National Law Enforcement Officers Memorial in Washington, D.C. as its goal. 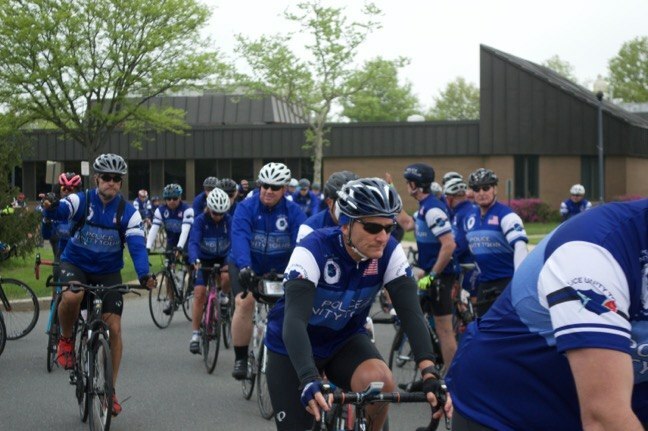 Taking off from Franklin, in addition to local riders, were teams from as far away as Utah and California. 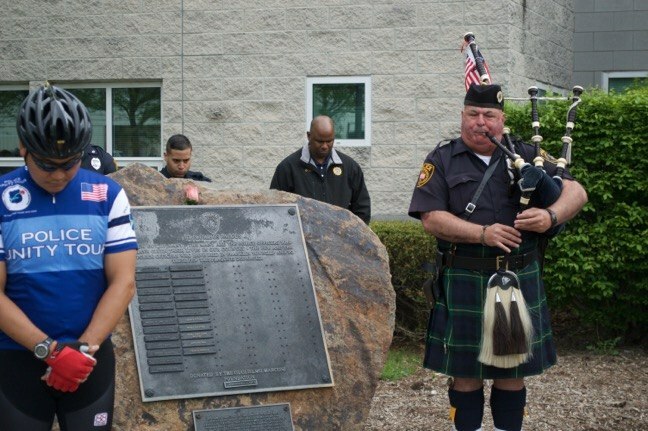 The annual candlelight ceremony will be held at the memorial on May 12. 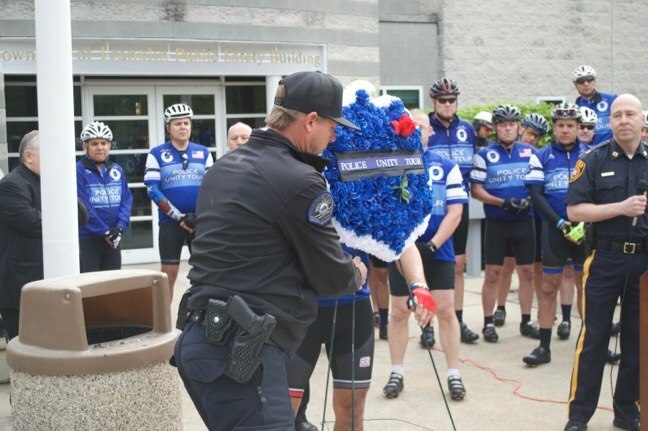 Officers raise money for the memorial through the ride. 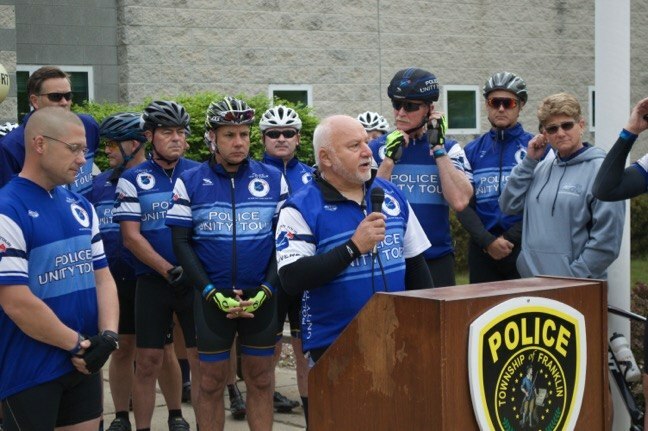 As usual, the Franklin Township Police Department also fielded its team of riders.